The Los Angeles City Council may have changed their tune when it comes to medical marijuana dispensaries operating in the city, but next door in Santa Monica, civic leaders are putting the brakes on any potential shops. The Santa Monica City Council issued a moratorium Tuesday night "on the approval of any business licenses or permits for medical marijuana dispensaries," reports Santa Monica Patch, who add that city staffers indicate in a report that such stores are a "risk to the public peace, health and safety." 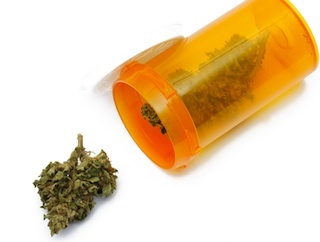 The report additionally points to the "uncertainty" created by the ongoing tension between state law (medical marijuana is legal) and federal law (marijuana is an illegal Schedule 1 drug). Santa Monica also references unnamed "other California cities" who found that having legal dispensaries causes problems such as increased crime, and more illicit use of marijuana. Currently, there are no dispensaries in Santa Monica operating with a city-issued permit. Some residents have gone on record suggesting the city keep it that way, and that Santa Monicans who need the drug can go to nearby cities or L.A. neighborhoods like Venice or Malibu to fill their prescription. Because Santa Monica&apos;s existing zoning codes don&apos;t permit or contain any regulations for dispensaries—and because the courts have ruled cities can&apos;t flat out ban them—the moratorium will give planning staffers time to suss out the city&apos;s options, according to Amanda Schachter, the city&apos;s planning manager. The current moratorium is in place for 45 days, but can be extended up to 22 months. Is anyone surprised at Santa Monica&apos;s stance on legal pot shops? It is, after all, the city in which it&apos;s hard to exhale, thanks to its expansive smoking ban.